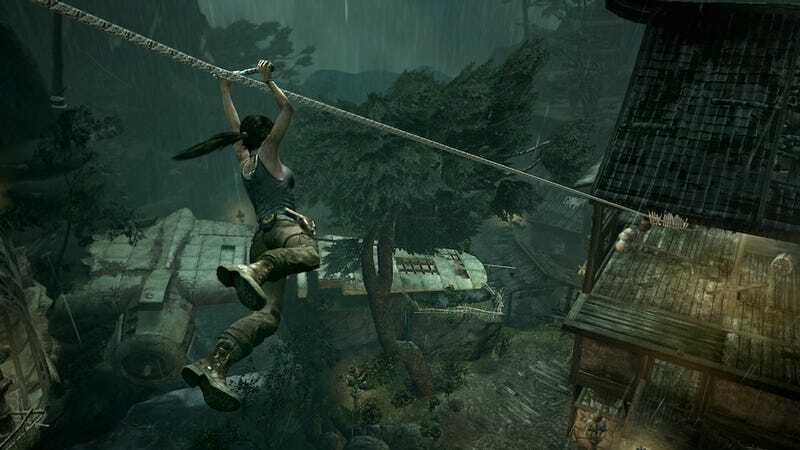 A recent retail listing in the UK indicated that Tomb Raider's 2013 reboot will have a multiplayer mode, with playable characters including "Lara's Shipmates or Yamatai's Scavengers." In a Tweet today, an executive for Tomb Raider studio Crystal Dynamics confirmed that the game would have multiplayer, and that details are forthcoming in the next Official Xbox Magazine. Earlier this month, Kirk Hamilton previewed the game and asked about multiplayer, a line of questioning that was immediately, if politely, shut off. The game is due on March 3.